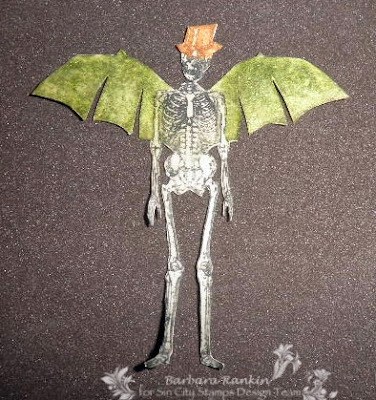 Hello everyone, and Happy October! Can you believe it? Halloween is almost here, and then Thanksgiving, and then Christmas. I cannot believe how time is flying. 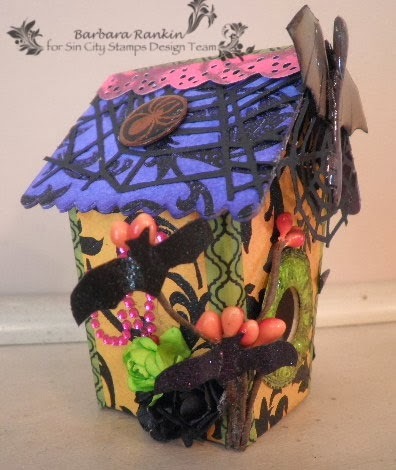 Needless to say, I am so enjoying playing with my wonderful Halloween stamps from Sin City Stamps. And to top it all off, our sponsor this month is The Robin's Nest. 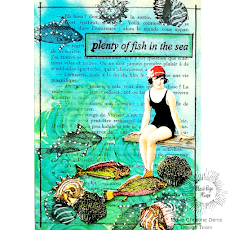 So we get to share some fun ideas using these wonderful papers and great stamps all in one project. 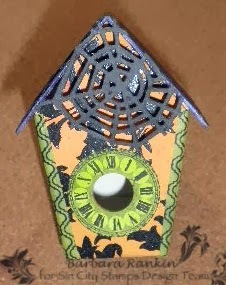 I got this wonderful Sizzix 3D Birdhouse die designed by Eileen Hull. 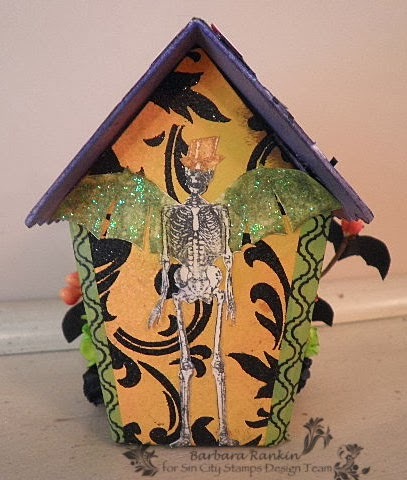 I knew I wanted to make something with it for Halloween, so I decided that the bats of the world needed a place to live. Hence, by Halloween Bat House came to be. 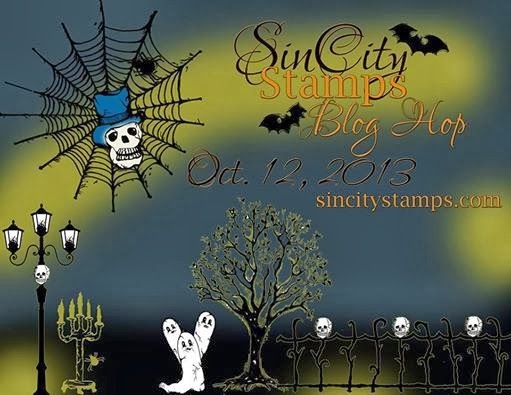 Sin City Stamps: Halloween Bingo. 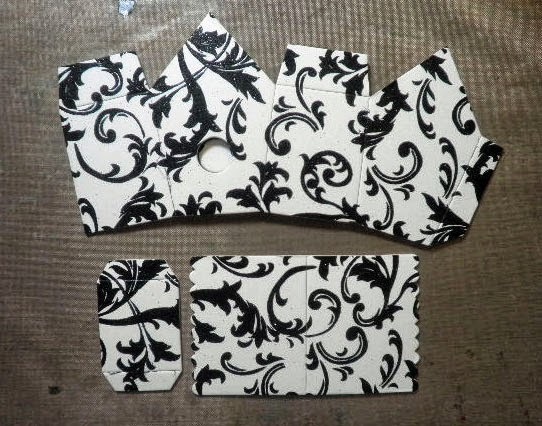 Adhere Black Glitter Swirl on White cardstock to scoreboard. Die cut birdhouse pieces. Spray After Midnight and White Linen over roof, Squeezed Orange and Fresh Lime over house sides, and Fresh Lime over bottom piece. Punch one of the smallest clock faces from Black and White Clock card stock with the 1-3/4" punch, and use the 5/8" punch to remove the center piece. Spray with Fresh Lime. Save the center piece for an embellishment. 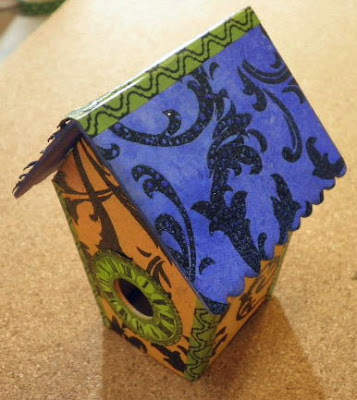 Adhere to front of birdhouse. Make sure your twelve o'clock is straight up. 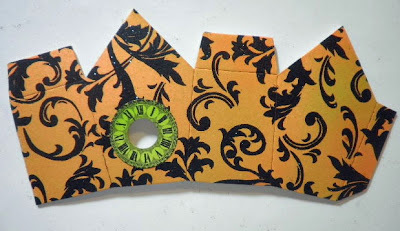 Adhere house sides and bottom together and add green washi tape to edges. Color the bottom of the roof overhang with Dusty Concord distress ink. Attach roof to house. Die cut cobwebs from Black Classic Glitter card stock and adhere to one half of the roof top. 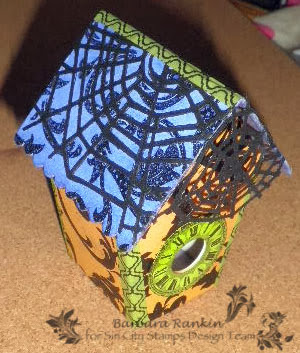 Add a small portion of the cob webs across the front of the roof. Add a thick coat of Rock Candy Distress Crackle Paint over the clock face and allow to dry. Now for some bats for my bat house. Do you see any bats? There are no bats on this plate. What to do, what to do. 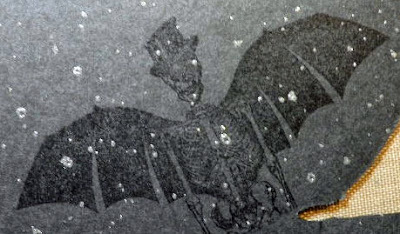 Oh yes, I see exactly what I need to make a really cool bat! I am going to use the wings from the winged skeleton and make a bat. Here's how I did it. Stamp just the upper portion of the winged skeleton, circle spider, and the skeleton key with Versamark ink onto Black Classic Glitter card stock. Lightly brush Citrine Pearl and Copper Penny over the wings. 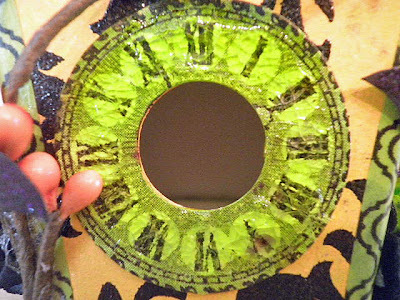 Add 3D Crystal Lacquer to seal the powder and give a bit of dimension, then cut them out when the lacquer dries. 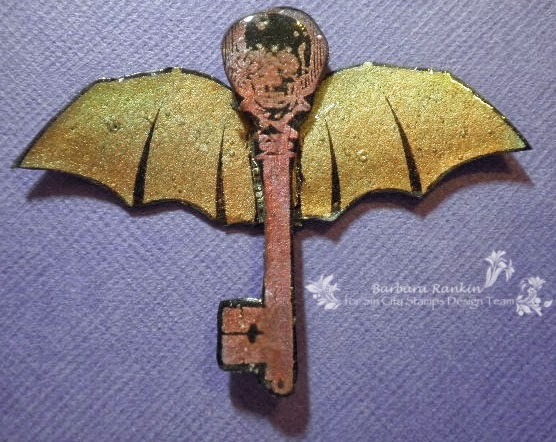 Violet Pearl and Copper Penny over the key, and Copper Penny over the spider. Brush away excess with a soft brush. 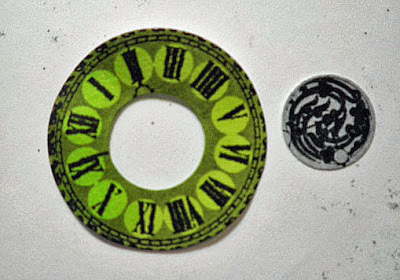 Seal with a layer of 3D Crystal Lacquer and cut out. 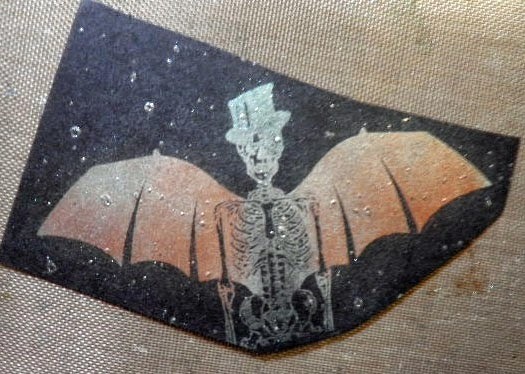 Cut the wings in half and layer one over the other, then layer the key over the wings to form your bat. 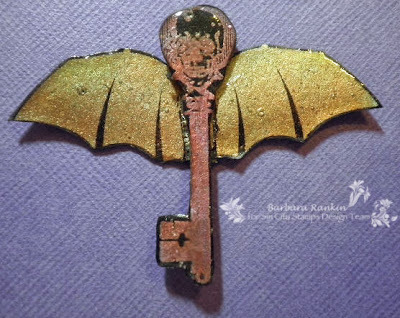 Okay, I have my large bat, but I need some tiny bats to fly around the house. 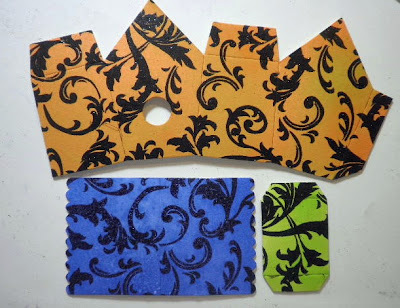 Cut out three tiny glitter bats from the Black Bats Glitter and Purple Bats Glitter. 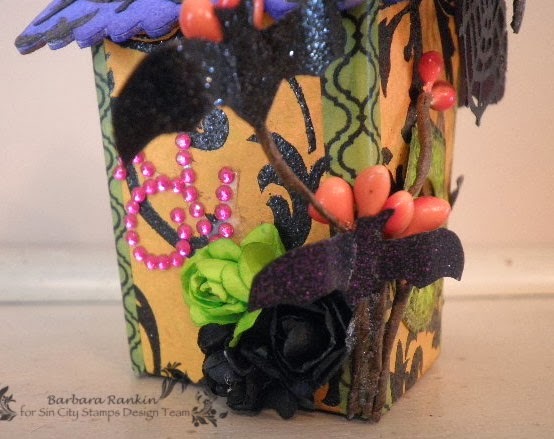 Adhere to tiny pieces of the Autumn garland, then to the house sides, as shown. Spritzed white paper roses with Fresh Lime Dylusions. Adhere pink gemstones and roses to the sides of the house, as shown above. 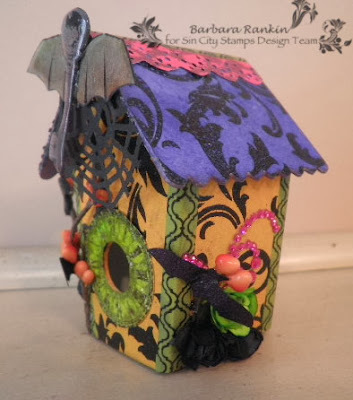 Cut Pink Crackle Glitter with Vintage Lace die. Adhere one of the lace strips to the top of the roof. 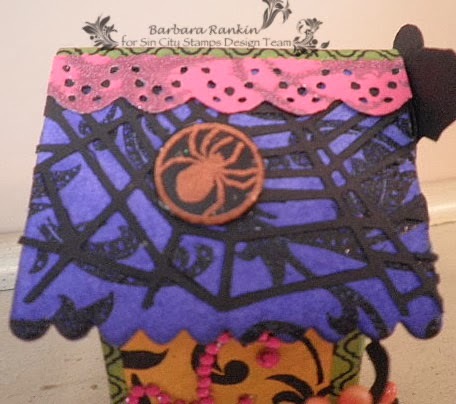 Add the stamped spider in circle. 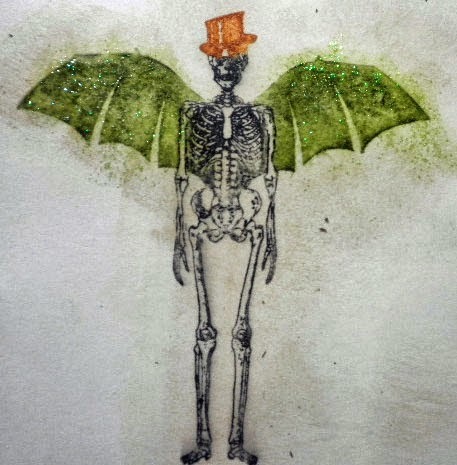 I decided I needed a protector for the bat house, so I stamped the winged skeleton image with the distress markers, heat set the image, sponged Antique Linen around the image to knock down the white paper, added Firefly stickles to his wings, and fussy cut him out. I then adhered my "sentry" to the back of the house. Here are a couple of close-up side views for you. 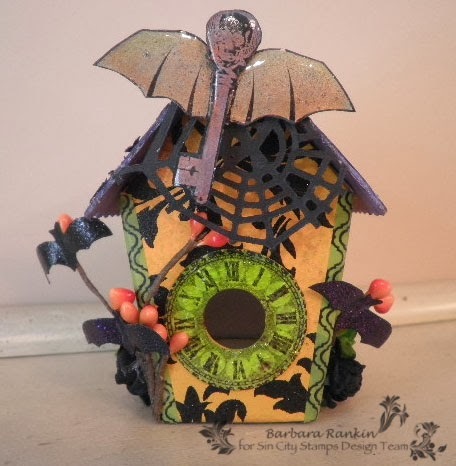 I hope you enjoyed my little altered bird, er, uh, I mean bat house today. 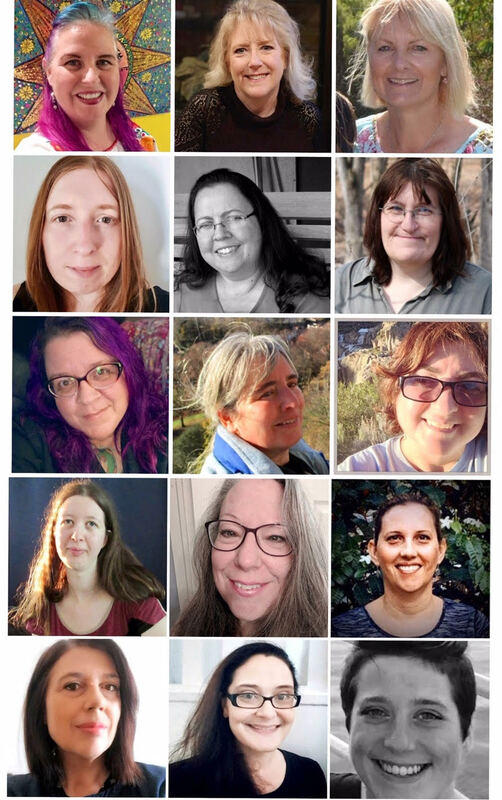 And I want to take this opportunity to remind you that our Halloween blog hop is coming up right here in less than two weeks. I hope you will join us for all of the fun Halloween inspiration, as well as some really good prizes, too. So, save the date, October 12, for this spectacular Halloween event. As always, I am so glad you stopped by today. I hope I have inspired you to visit the Sin City Stamps online store and blog to see what is on offer, and what the rest of the design team are "brewing" up for us this month. And if you like any of my work, I would love for you to visit my blog at Black Hole Art Studio.